Home » Dessert » Awesome Dairy Free Sugar Cookies (cut-out)! 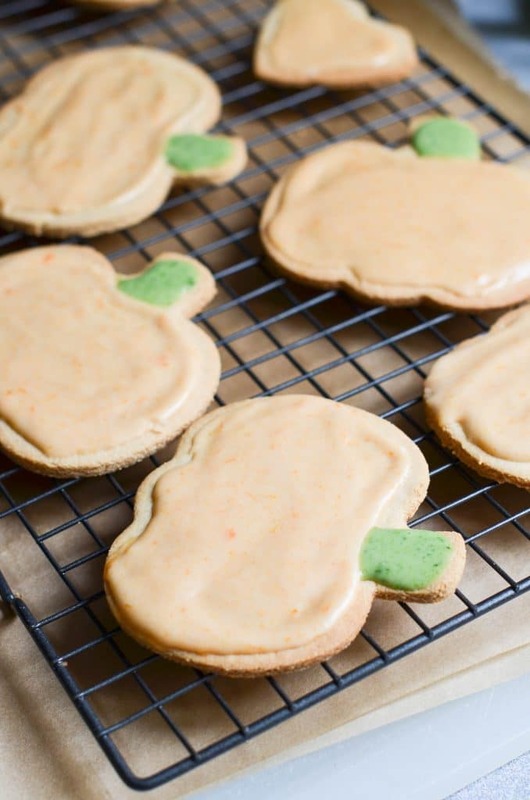 On a recent Saturday, the green pumpkin stems from the latest batch of dairy-free sugar cookies just about done, the requests started. “Are those ready for public consumption”? 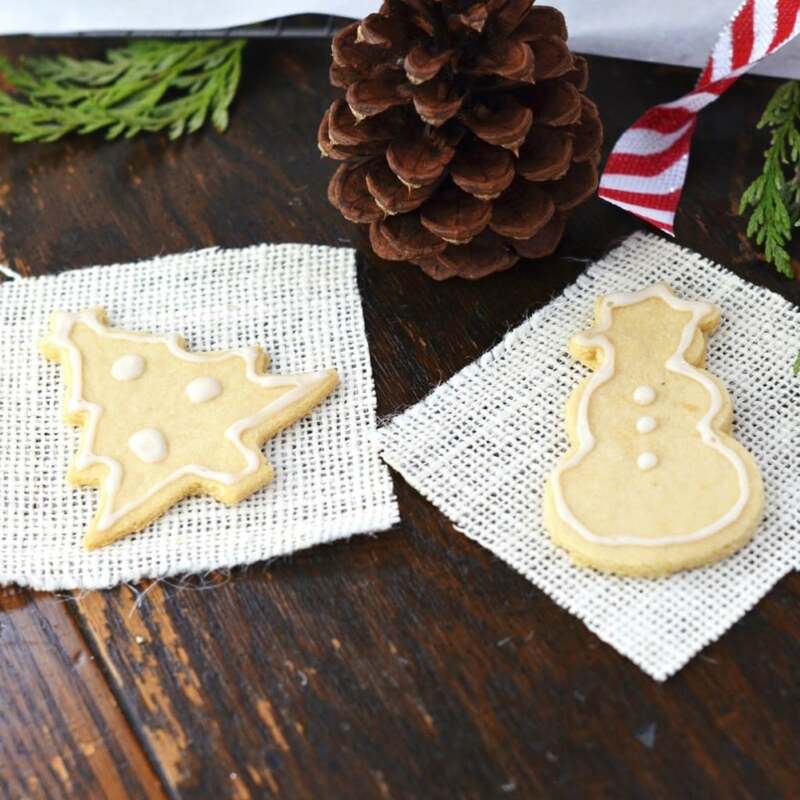 Imagine an easy vegan sugar cookie that’s also grain free, gluten free, and vegan. No oil or eggs are required. And paleo friendly. What? 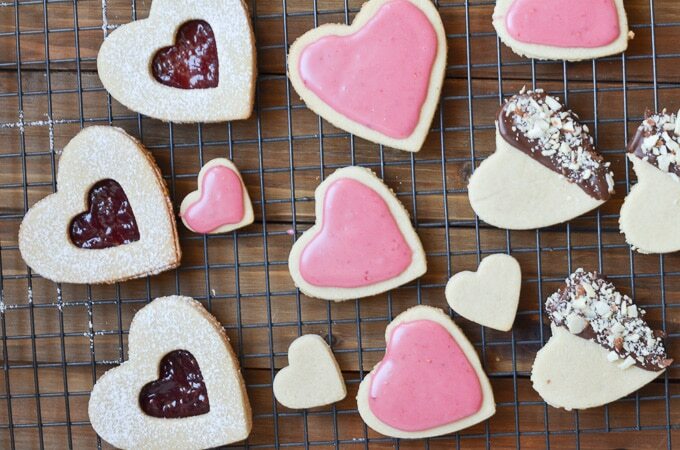 Plus, it makes a super easy and scrumptious cut-out cookie recipe! Perfect for holidays, celebrations or every day! A full list of ingredients, instructions and printable recipe card is at the end of this post. So, as I swat away eager hands trying to get at these cookies, the realization hits me – my list of recipes that everyone loves regardless of dietary restrictions is growing. How cool is that? So true judging by how fast these cookies disappear! Later in the post, I share how I created the green and orange icing from natural ingredients! Step 1 – Gather the ingredients. 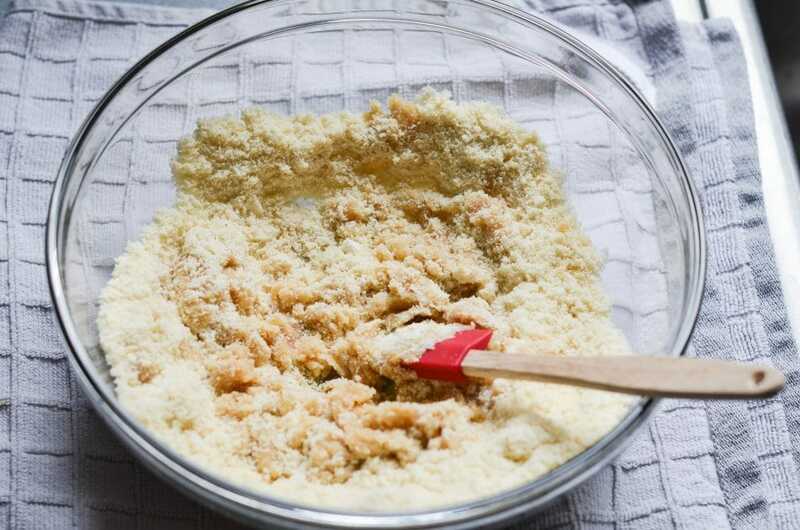 Step 2 – Add the ingredients for the dough to a mixing bowl. The icing will get mixed in another bowl. Ingredients in mixing bowl. Tip: sometimes the best tool for this job is clean hands! So simple – in a medium-sized mixing bowl, add all the ingredients and mix well. Step 3 – Mix until well combined and dough forms a ball. Prepared cookie dough ready to roll. Step 4 – Roll the dough between two pieces of parchment paper (no need to refrigerate). Rolled out dough ready for cookie cutters. 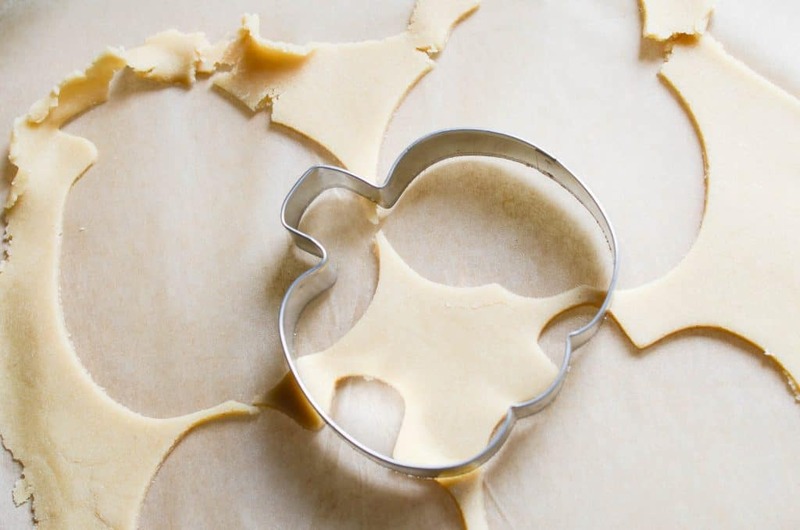 The number of cookies will depend on the size of your cookie cutters. 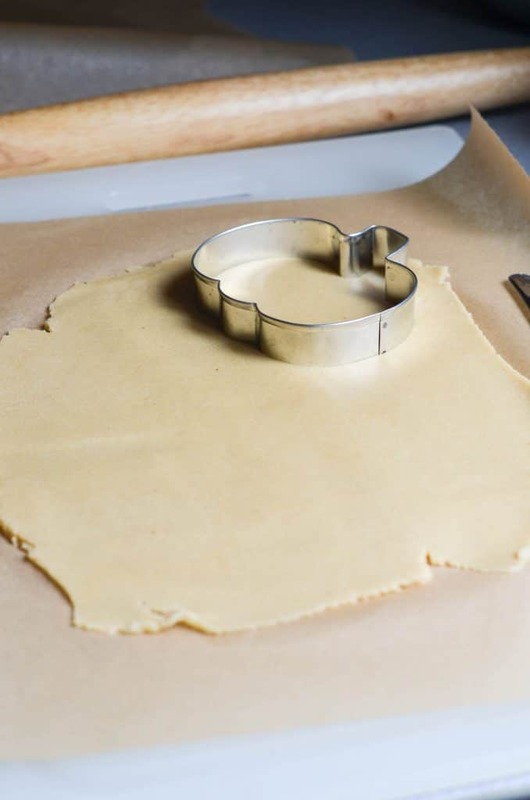 Use any size cookie cutter to cut out cookie shapes and place on prepared baking pan with parchment paper. 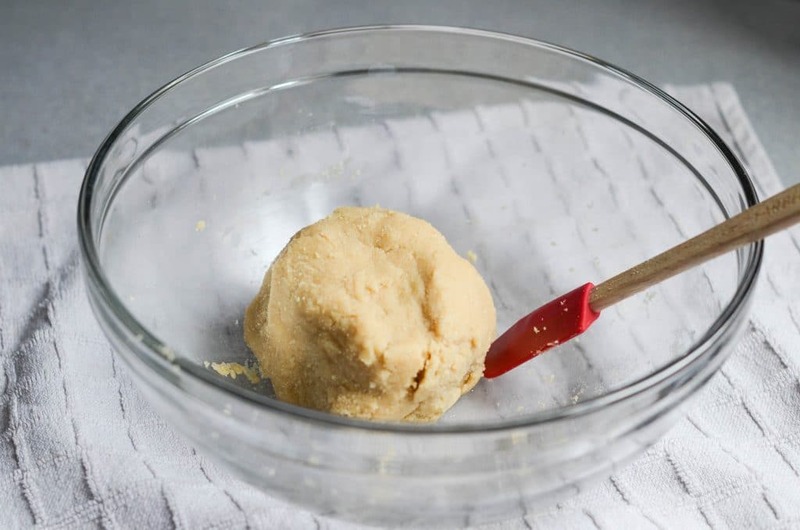 Use the leftover dough to make more cookies. Simply gather into a ball and roll out the dough again. Continue this process until all the dough is used. Step 5 – Bake at 350 degrees F. for 7-10 minutes depending on cookie size. Step 6 – Let cool on a rack. Step 7 – Make the icing and decorate cookies as desired. …this list goes on and on! Helpful Icing Tip: Get creative! No need to use dyes to create colored icing. 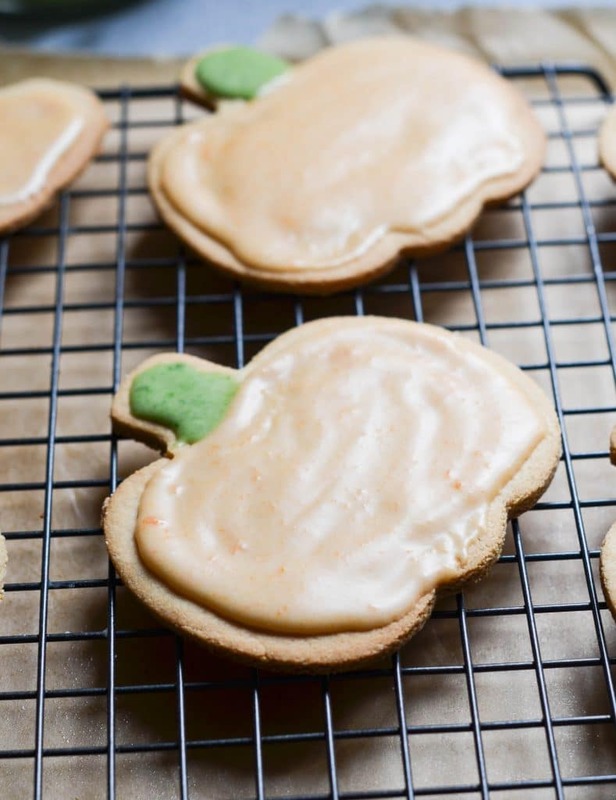 One tablespoon of cooked orange sweet potato was added to 3/4 of the prepared icing to create the orange pumpkin color. What did I use to get the color green? About a teaspoon of frozen organic chopped spinach! In both cases, I used a food processor to get the desired consistency. My taste testers had no idea! What you will love about these cookies is that they can be made and ready for consumption in less than 30 minutes! Here is a version to try for Valentine’s Day! 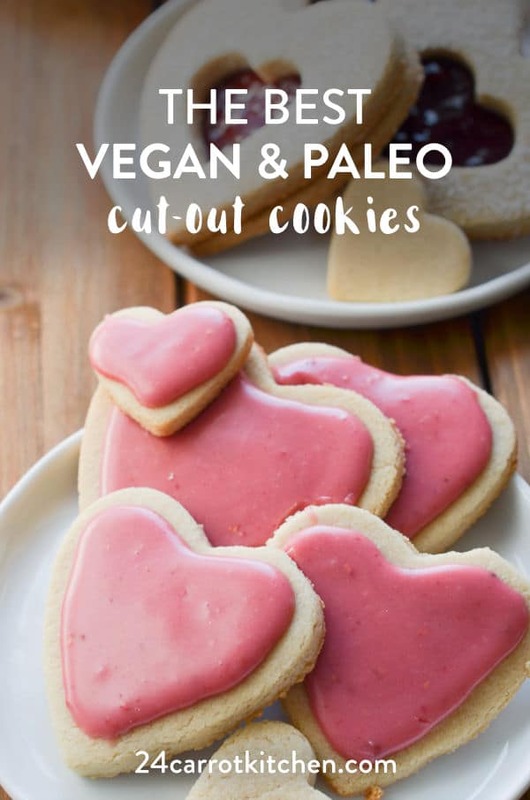 Paleo, Vegan Cut-out, Cookie Cutter Dairy Free Sugar Cookies. So easy to make and taste delicious! Next, add vanilla, maple syrup, and sea salt and mix well. Place the dough between two pieces of parchment paper and roll out. 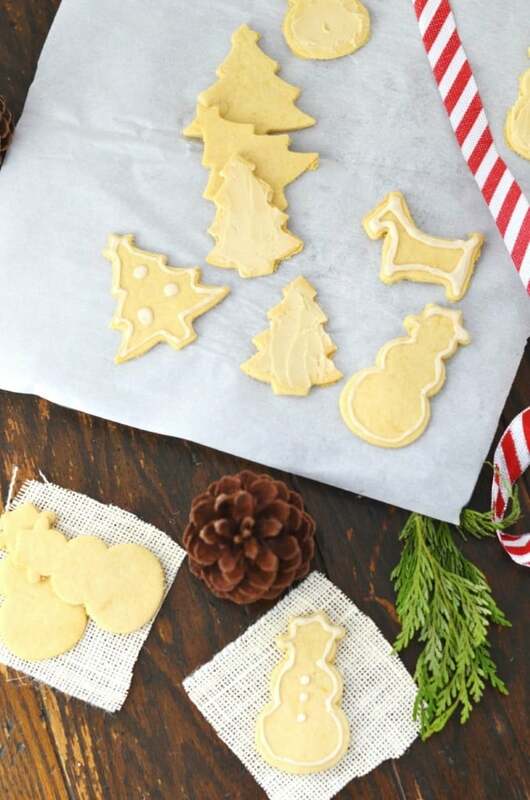 Cut out cookie shapes and place cookies on a prepared baking sheet. (Sprinkle a little almond flour if dough is sticking). Bake for about 10 minutes, depending on the size of your cookies. Edges should be just ever so slightly browning. Cool on rack and wait until completely cool to decorate. For the icing - place powdered sugar and almond milk in a bowl and stir until completely mixed and the consistency you want. If too runny, add a little more powdered sugar. If too thick, add a little almond milk. You will yield one pan of cookies. *Cook time will vary depending on the size of your cookies. Most will bake in 7-10 minutes. Check often so they do not burn. *See notes in the post on how I created natural orange and green icing! Affiliate Links: if you purchase products using the links in this post, at no extra cost to you, I will receive a small commission which helps keep this blog up, running and new recipe creation possible. Thank you! Previous Post: « Paleo Vegan Chocolate Truffles! These were great, thank for sharing! Thanks – so glad you enjoyed! These are awesome – and so simple! I always need a good, tried and true, cookie recipe on hand. Thanks for sharing! Thanks Savannah! So glad you love the recipe! I can see your two-ingredient chocolate ganache being an awesome icing on this cookie! Hi Sarah! Oh, that sounds awesome! In your blog it tells 350 degrees, however in your print out recipe it sa;ys 300 degrees. Which should I use? Thanks Shelly! So glad you like the recipe!